WLC Godmother Sue Kupillas was the recipient of the Al and Pat Reser Civic Leadership Award at this year’s Governor’s Gold Award ceremony at the Oregon Convention Center in Portland on October 21. The annual event brings together high-profile corporate and community leaders who pay tribute to the outstanding individuals, companies, and organizations that actively contribute to Oregon’s greatness. All proceeds of the event benefit Special Olympics Oregon. Sue’s desire to create a dynamic network of motivated female leaders, committed to increasing leadership opportunities for women throughout the Rogue Valley, spurred the founding of the Women’s Leadership Conference of Southern Oregon with Patsy Smullin, owner of California Oregon Broadcasting, Inc. and Financial Advisor Lyn Hennion in 2012. 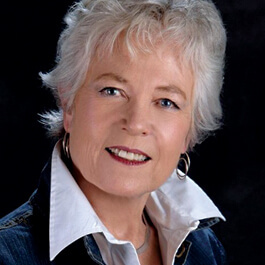 Sue currently serves on a number of boards, including the Medford/Jackson County Chamber of Commerce and the Butte Creek Mill Foundation, committed to the restoration of its landmark building, and is the Immediate Past Chair of the Rogue Valley Manor Board. Sue served as the Jackson County Commissioner from 1988 to 2004. During her time as Commissioner she helped establish the White City Community Improvement Association and the White City Urban Renewal Agency, an $84 M project which included a one-stop delivery of state and county services, and eventually served as a prototype for the State of Oregon. Her earlier volunteer service roles include District 9 School Board member and State President of the Oregon School Boards Association in 1986. In addition to the 2017 Governor’s Gold Award, Sue was the recipient of the Statewide Planning Achievement Award in 1991 and an Outstanding Citizen Award from the Medford/Jackson County Chamber of Commerce. In 2012, Sue was honored by the March of Dimes with a “White Rose Award” for community service. Congratulations to Sue Kupillas! We are so proud of your service to the state of Oregon and continued modeling of outstanding leadership in our community. The Women’s Leadership Conference of Southern Oregon grew out of a desire to see more women represented in leadership roles in business and the community. This desire is not just about inspiring women to step up as leaders, but also about encouraging women to use their voice and share their stories. From these early ideas shared over coffee a community has grown. It is dedicated to both personal inspiration and practical application, bringing together people in all stages of their careers for the conference. Since the Women's Leadership Conference's inception in 2013, more than 1,600 leaders have attended. Our annual conference occurs every spring, and we host WLCofSO micro events throughout the year. The call for proposals is CLOSED for the 2019 WLCofSO conference. Thank you so much for your applications, we look forward to reviewing them.